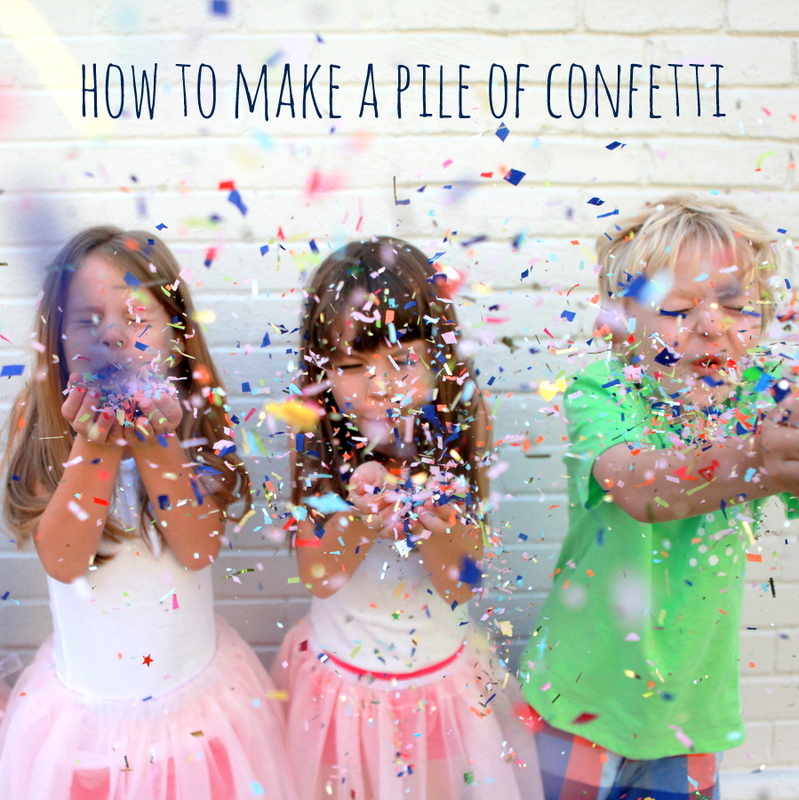 As I was gathering pictures for the confetti tutu tutorial (it’s forthcoming), I remembered a trick I stumbled upon as I was prepping the Confetti Surprise Party that was a game changer for me and thought I’d pass it along. 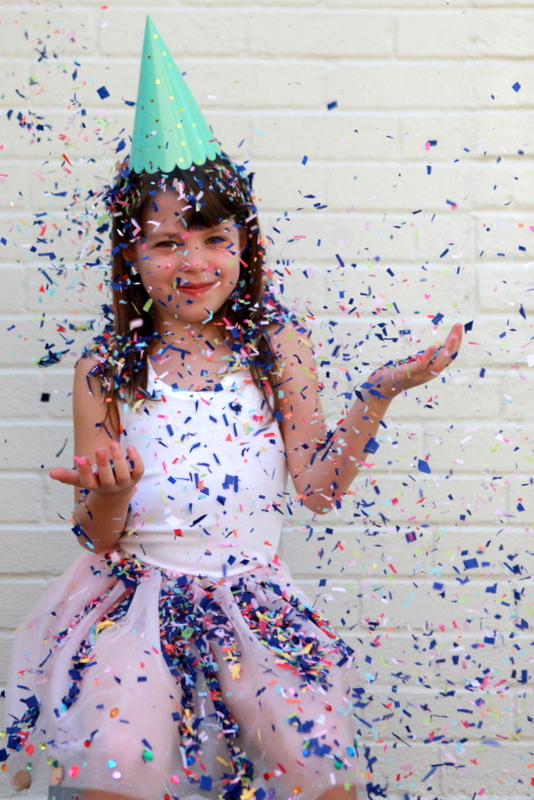 If you’re planning a confetti party (or confetti fight), the demand for confetti will be sky high. 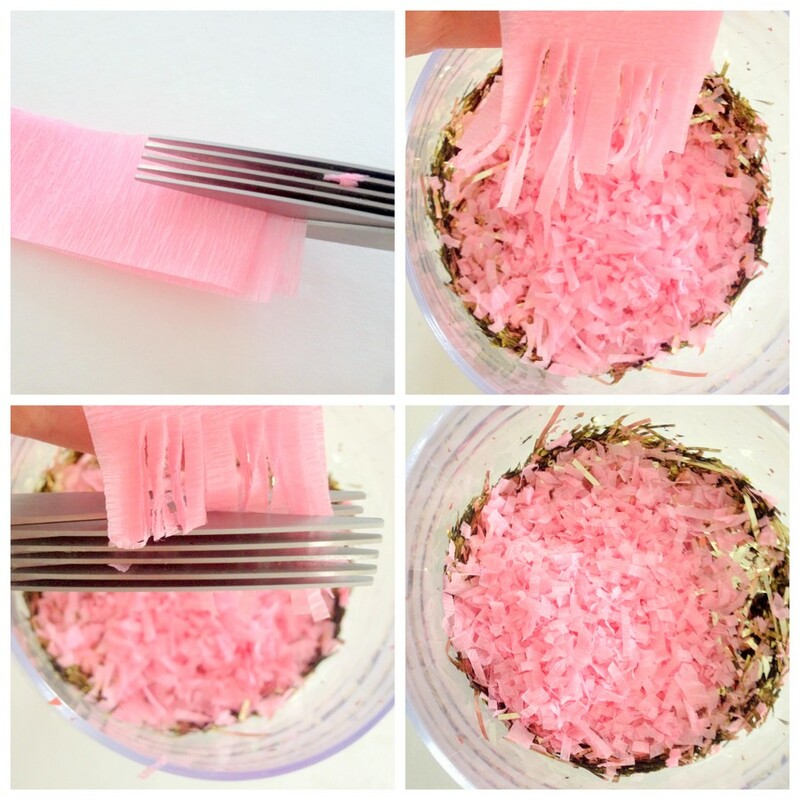 Luckily, there is an easy way to make a ton of confetti in very little time with just fringe-y scissors and streamers. First, gather crepe paper (the streamer kind). Using fringe scissors (mine are by Martha Stewart- I think you can get them at Michael’s or Joann’s), cut the end of the streamer into fringe. Then, still using the fringe scissors, in a perpendicular motion, cut off chunks of the already fringed streamer, creating a flurry of teeny confetti. 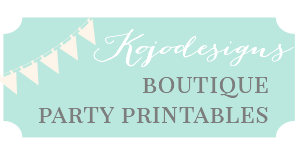 Put on Call the Midwife (or your background tv show of choice) and continue fringing and snipping until you have piles and piles of confetti in every color you desire. Then, of course, put it to good use! In fact, I can’t wait to have another occasion to use this confetti making skill. What a fun and quick idea. I love it!